Why we’re driving it: By any metric, the Jaguar I-Pace is a landmark car. It’s the first battery-electric car from one of Britain’s most iconic and luxury car companies, and a brand known for its high-performance petrol engines. And, having beaten Audi, BMW and Mercedes-Benz to the socket, Jaguar has unleashed the first genuine rival to Tesla – the I-Pace is a luxury SUV that lines up directly against the American company’s Model X. 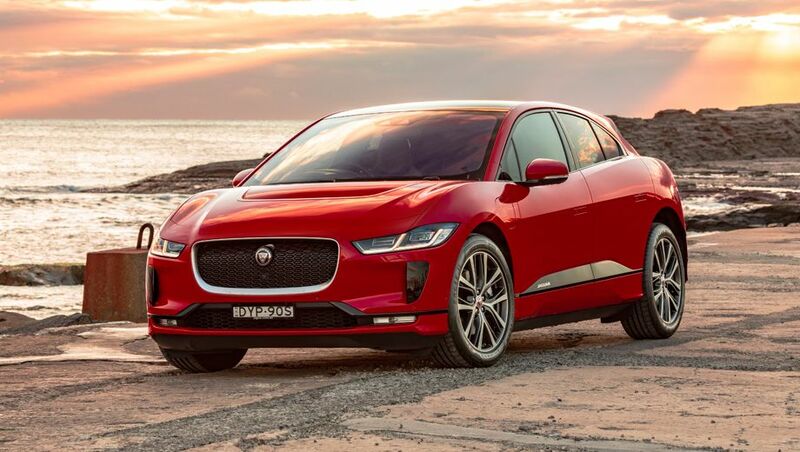 The I-Pace arrives in Australia with a time advantage over the German prestige brands and a price advantage over Tesla, as the $119,000 kick-off price sits well below the $159,478 of the 75d version of the X-car. At first glance, the Jaguar I-Pace looks like just another oversized family-friendly soft-roader, albeit exceptionally more attractive than most. But linger at bit longer and it’s obvious there is something different. The car is edgier, the bodywork has more aerodynamic tweaking to help it cut through the air with minimal drag, and it has a certain style. That’s because Ian Callum and his award winning team of Jaguar designers have been freed from the traditional needs of a combustion car, including a big lump in the middle of the engine bay and things like the radiator. 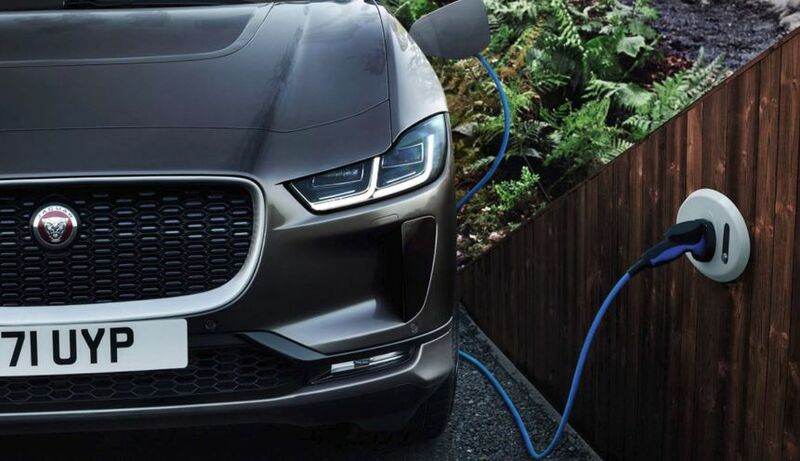 There's still a loud-and-proud grille at the front of the I-Pace, but it’s not for pump cooling air into the engine room – it's just to proclaim to tell the world that you're driving a Jaguar. 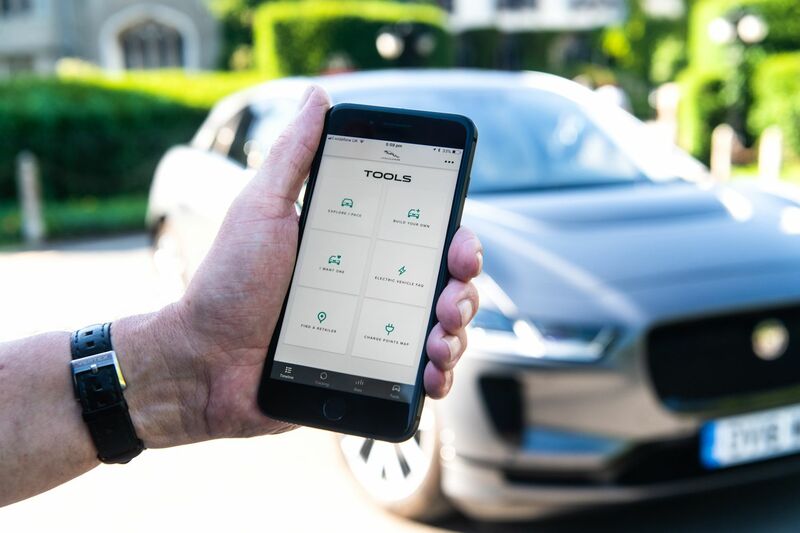 Hit the unlock button for the car and Jaguar’s new signature item, pop-out door handles, welcome you to a car that is very different and heading an electric revolution that is going to gain pace very quickly over the next two years. There is literally nothing to see when you open the bonnet: just plastic shrouding and the carry pack for the car’s plug-in cable and charger box. Instead, the heart of the I-Pace is stretched along the base of the car: a giant lithium-ion battery pack straddles between the front and rear wheels like a skateboard. Electric motors at the front and rear provide the I-Pace with all-wheel drive to suit its (potential) role as a (mild) off-roading SUV. For technical types there are 432 individual cells in the 600-kilo battery pack, which provides a V8-beating 696 Newton-metres of torque shove and a claimed range up to 430 kilometres between complete discharges. And if the SUV body style isn't quite to your liking, don't worry: these underpinnings provide a Lego-like foundation which will host all sorts of chassis choices in the years to come. 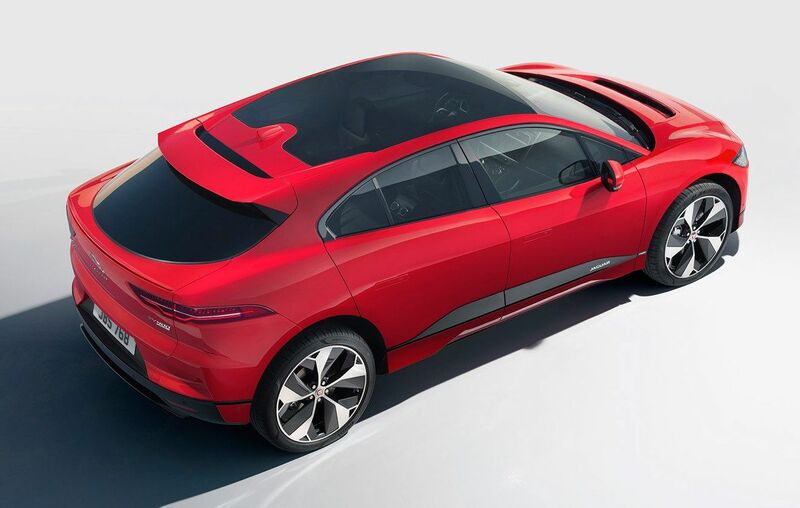 The I-Pace is the newest member of a Jaguar SUV family that already includes the E-Pace and F-Pace, with dimensions that are similar to the F-Pace and put it into a class against the likes of the BMW X5. Inside, there is plenty of room for five people and folding the rear seats flats provides enough luggage space to carry a couple of 55-inch flat-screen televisions picked up at after-Christmas sales. Technology abounds in the latest Jaguar, as you’d expect in a car which is diving head-first into the electric revolution, but it’s not overwhelming. There is a crystal-clear 10-inch display screen in the centre of the dashboard, six USB charging points (for five seats) and a 'Flight Deck' centre console with a couple of bottle holders and lots of other incidental storage space. As you'd expect, the whole package is beautifully designed and impressively finished. This debutante I-Pace comes fully loaded with the Launch Edition package that takes the price up to $159,700 but brings everything from a head-up instrument display and Windsor leather to 20-inch alloys and a giant glass sunroof that effectively becomes the roof panel. This is where things get interesting. Stab the Start button and you'll puzzled by the utter lack of anything actually starting, apart from a glow from the dashboard lights. This all changes when you hit the Drive button and gently, almost tentatively apply pressure the accelerator. Listen for the faintest whirring noise - Jaguar and others are anxious not to startle pedestrians with the near-silent I-Pace and its successors - and you're on the move. The first thing to learn is the way the power is delivered. It’s one long endless surge, as there are no gears in an electric car. Braking takes some getting used to, as lifting your foot off the accelerator triggers the ‘regenerative braking’ system where generators capture unwanted energy to recharge the battery. With that learning under your belt, the system works like a charm: I only have to tap the brakes once I’m nearly stopped. Easing off the accelerator brings enough retardation for most corners, and it becomes a little game I play with myself as I practice using single-pedal driving - just the accelerator - to get the best from the car. There is also the challenge of minimising the drain on the battery pack: with plenty of driving in and around Sydney, I'm keen to see how practical this EV really is when it comes to range and recharging. I quickly discover that freeways are worst for the I-Pace, with a constant load and drain on the batteries - especially in hot weather and with that UK-friendly glass roof cooking the cabin and forcing full-time heavy aircon use. 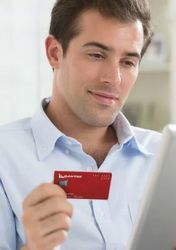 Alternately, running around the suburbs and even dealing with stop-and-go traffic provides a series of small but welcome spurts of on-the-go recharging through the regenerative breaking. Range anxiety is something which, for now, all EV manufacturers must deal with. Convincing people that a battery car can work for them, not leaving them stranded with a digital needle pointing to zero, is one of the biggest challenges of the electric revolution. Unlike fuel stations, which sit on every corner and offer a top-up in minutes, recharging an electric car means a hardwired socket and potentially hours of waiting. Jaguar says the I-Pace picks up 20km of range for every hour it's plugged into an ordinary 240V home socket like the one in your garage – leave it connected overnight and you'll have close to 200km of added driving. Need to build more range in less time? Take up the option to install three-phase power and a special charging box in your garage, or use a charge point at your supermarket car park or from the small but growing Chargefox network. And of course, Jaguar has an app to help keep an eye on your I-Pace, including battery stats. Away from the electric stuff, the I-Pace proved a sporty and responsive drive. 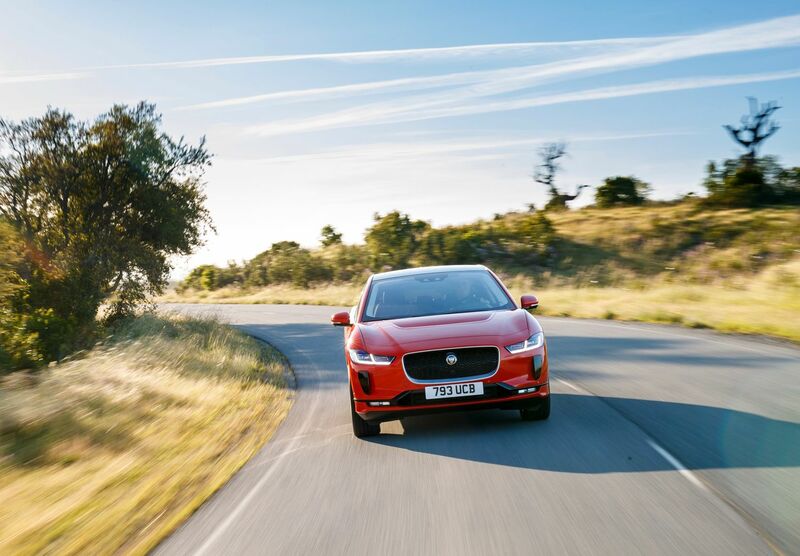 It has none of the crash-bang annoyance of some electric cars, which are more like a science experiment than a prestige car, and all the technology and luxury is exactly as I expect from a Jaguar. 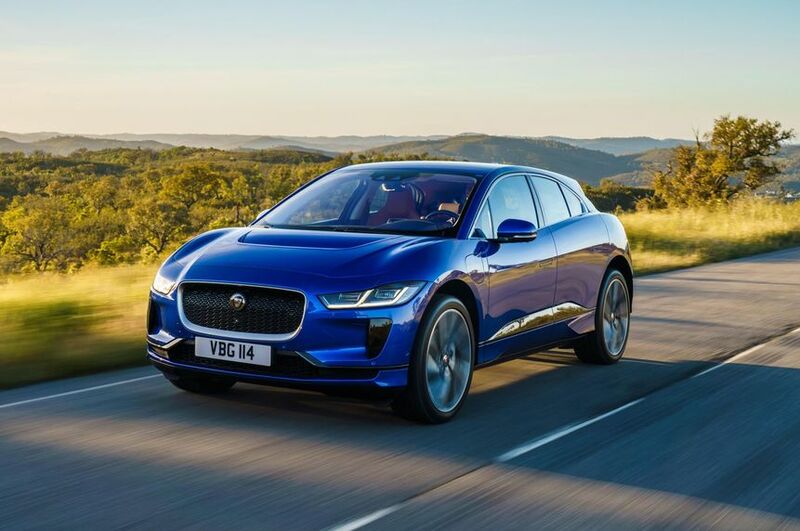 Jaguar's I-Pace is the proof we've been waiting for – proof that electric motoring can and will be enjoyable and workable in Australia. I experienced no problems in driving 350km with only a two-hour charging top-up, and at all times the I-Pace was practical, comfortable, relaxing and extremely quiet. The I-Pace is not for everyone – that much can be said of any SUV! – but at the same time this is a truly 21st century Jaguar. It successfully combines the brand's heritage and hallmarks with tech-forward thinking and sets a benchmark against the other electric cars we’ll soon be seeing on Australian roads. Electric aside....this is a beautiful looking SUV. The fact it’s electric is a bonus. I do worry about Tesla though, love what they have done but once the Germans catch up they could be in trouble. What Jaguar have shown here is just the start.....better looking and loads cheaper than an X. This is easily the most stylish SUV I've seen. Too many of them look too chunky, even though they are more of a soft-roader and will never leave the bitumen, but this one really sort of merges SUV basics with family four-door styling and even a bit of a sportback rear. I definitely hope this is a good sign of more EVs like this to come from the major European and Asian luxury brands. Good article and the car looks great. I am still trying to understand what is under the bonnet though. I understand there is no engine but I cant imagine that the drivers foot well takes up all the space. Is there a small storage area? If it’s like the Tesla’s, it’s just storage like the boot. Great review, just one note: "drop into one of the ‘rapid charge’ points that Tesla is installing around Australia"
I assume this refers to Tesla superchargers - only Tesla vehicles can use those. However there is a similar network of fast chargers which use a public standard used by all EV manufacturers - this is being installed by Chargefox. You can google "chargefox ultra rapid network" to find out details on coverage. 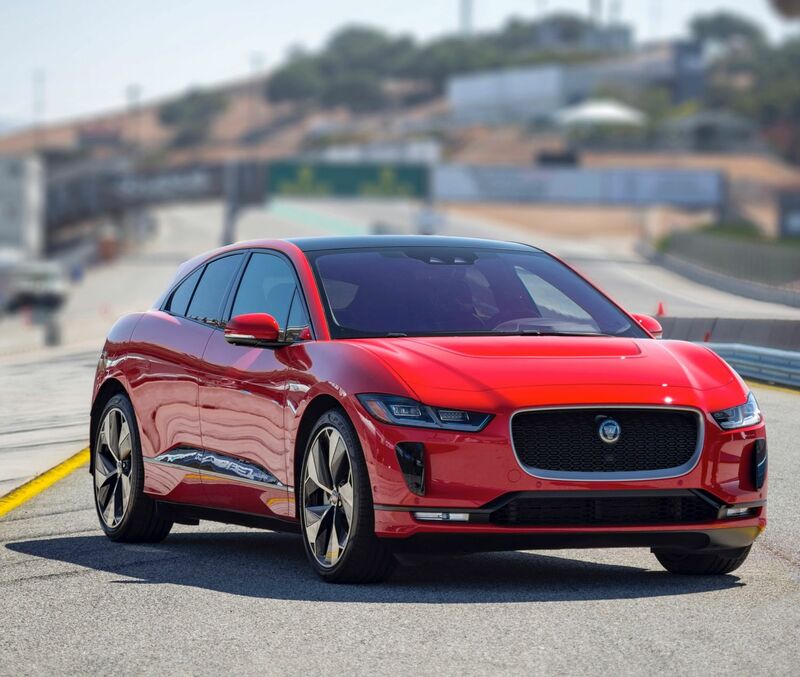 Comment on "Test drive: Jaguar I-Pace is an EV milestone"